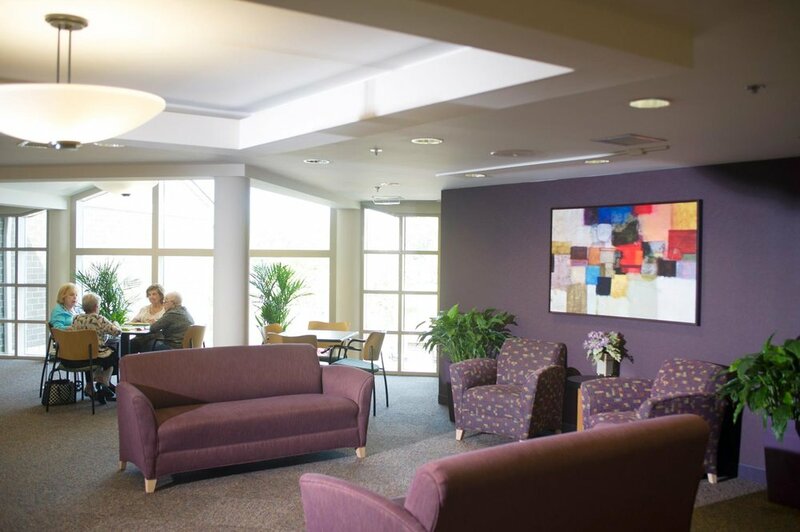 The Lillian and Samuel Hechtman Apartments on our beautiful West Bloomfield campus consist of 198 Senior Independent Living residences located in two buildings. Hechtman 1 has 102 one-bedroom HUD subsidized apartments; Hechtman 2 has 96 one-bedroom market rate apartments. Hechtman 1 currently has a closed waiting list. Applications are not being accepted at this time. The spacious and open floor plans of Hechtman 2 apartments provide an ideal option for those 62 years and older, with a galley-style kitchen complete with full-sized stove, dishwasher, built-in microwave oven and plenty of storage space. Most apartments have a private balcony or patio overlooking the magnificent Hechtman grounds. Unique to Hechtman Apartments is the ability to enjoy all the benefits of the adjoining Fleischman Residence/Blumberg Plaza. Residents can participate in the enriching and plentiful programming and services offered at Hechtman, or enjoy the programming, services and amenities next door, including Marvin’s Bistro, Sharon’s Boutique, the hair and beauty salon…and much more! I have had the honor and privilege of working with older adults for over 26 years. Before joining the Hechtman Administrative team, I worked with various agencies that focused on providing housing for senior citizens. My previous work was focused primarily in the Tri-County area, but I have also worked in senior residence management with a nation-wide company. My experience of working with our older adult community gives me immense joy, and provides a sense of purpose that I cherish every day. In my spare time I enjoy spending time with my family and friends. My personal passion in life has been raising my son Matt and watching him grow into the wonderful young man he is. I joined the Jewish Senior Life team in May of 2010 as an Office Manager. Prior to joining JSL I managed an office at Paff Electric Company. I have 8 years of property manager experience and in March of 2017 I was promoted to Assistant Administrator. My passion lies in providing exceptional customer service to our residents and families, and the wonderful team we have here at Hechtman makes that possible. I truly appreciate our residents and I am glad they have chosen Hechtman as their home. In my free time I enjoy spending time with my family, friends and playing with my 2 dogs Samson and Zeus. I feel privileged to be part of Jewish Senior Life, Hechtman Apartments. I have been here for 5 years. I love coming to work each day to see my second family, the residents and my co-workers. I am a licensed Social Worker and graduated with my Master’s Degree from Wayne State University. My role here at Hechtman Apartments is to assist residents in achieving their highest level of independence and maintaining or enhancing their quality of life during their residence. I enjoy connecting with older adults and hearing their stories! We have a lot of fun here together. Please come by and say “hi”. After 25 plus years of working at Jewish Senior Life Hechtman Apartments, I still love and look forward to being here every day. I was hired as the Resident Service Coordinator for Hechtman I, our HUD building, when Hechtman 2 was being built. I had just graduated from Wayne State University with my Masters in Social Work. I now have a Michigan License and an ACSW. I have been fortunate to witness and participate in the growth of our wonderful agency. It has been a privilege to be able to provide services and support to our residents and their families so our residents can have the best quality of life as they age in place. I graduated from the University of Missouri and received a Bachelor’s Degree in Social and Community Services specializing in Recreation Therapy. I am a Certified Therapeutic Recreation Specialist (CTRS) and have been working in this field for over 40 years. My experiences include working in physical rehabilitation centers, nursing homes, assisted living and senior communities and working with individuals with mental health disorders, traumatic brain injuries and developmentally disabled children and adults. I have been working at Jewish Senior Life for 6 years, implementing and coordinating daily activities for the wonderful older adults living at Hechtman Apartments. My outside interests include spending quality time with family and friends, reading non-fiction books and singing. I’ve been with JSL since 2015. I started out as a server in Hechtman and within a year, I was promoted to lead server. 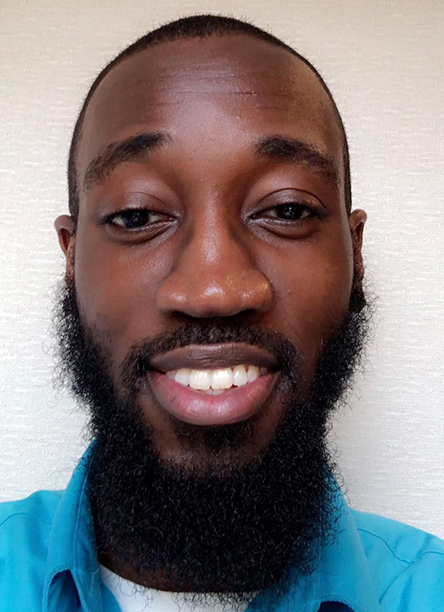 Through diligence and hard work, I was promoted to the Assistant Dining Room Manager of Hechtman and shortly after, I was promoted to my current role as Hechtman Dining Services Manager. 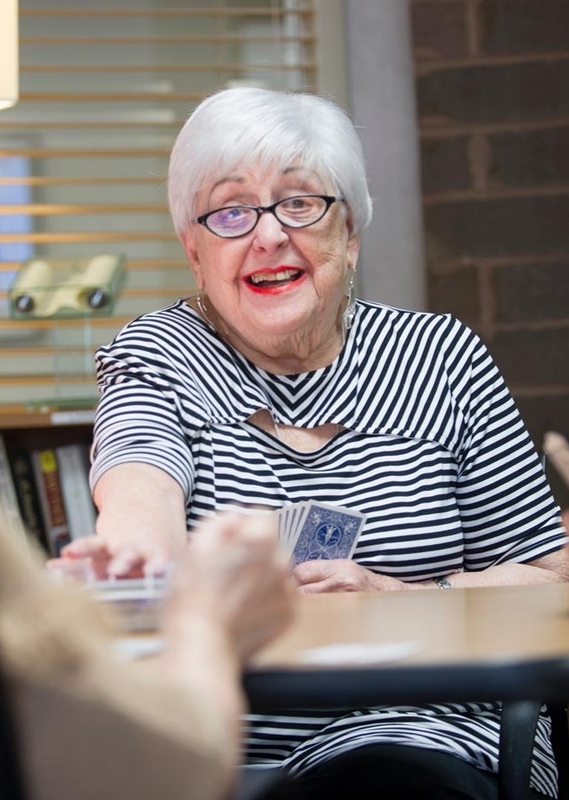 Throughout my years with JSL, I’ve built lasting relationships with our older adults. The daily interactions we share are often the highlight of my day, and I find great honor and joy in being able to play a role in their lives. I’m also a full time student majoring in political science at the University of Michigan (Dearborn). I have worked inside our JSL facilities for over 18 years. I started in 1999 working inside the kitchen on the Oak Park campus for Prentis and Teitel buildings. I moved on to the maintenance department in 2003 where I served as Maintenance Technician for the Teitel apartments. I worked there for 10 years where I gained thorough knowledge and experience working in the maintenance field. In 2013, I accepted the position of Maintenance Supervisor at Hechtman Apartments. I have now worked for the Hechtman Apartments for the last 5 years and it’s been my privilege to work with the wonderful team that we have here. We are all dedicated to providing great service to our residents. The public is hereby informed that effective April 1, 2017 at 12:00 am Jewish Apartments & Services, Inc. will no longer be accepting rental applications for housing for JAS Hechtman I Non-profit Corporation dab Hechtman I Jewish Apartments and will close its’ waiting list for all unit types. There are currently over 175 applications on the waiting list and the wait to receive housing is approximately 3-5 years, which is much longer than the recommended wait time. There is no scheduled date to re-open the waiting list at this time. When Jewish Apartments & Services is prepared to re-open the Hechtman I Jewish Apartments waitlist, a public notice will be issued to give proper notice to interested applicants. Applicants already on the waiting list do not need to take any action. Jewish Apartments & Services will maintain their application spot on the waiting list. However, applicants are still required to update their contact information with Hechtman I Jewish Apartments.